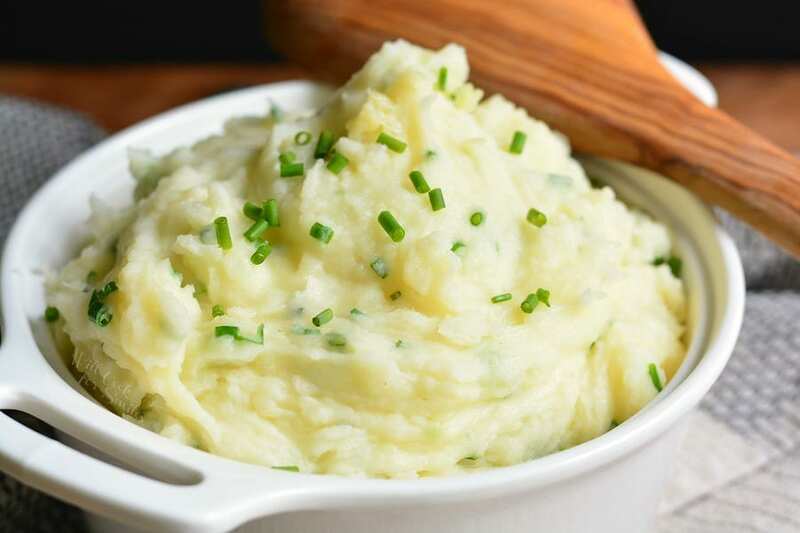 Wonderful variation on a classic mashed potato side dish. 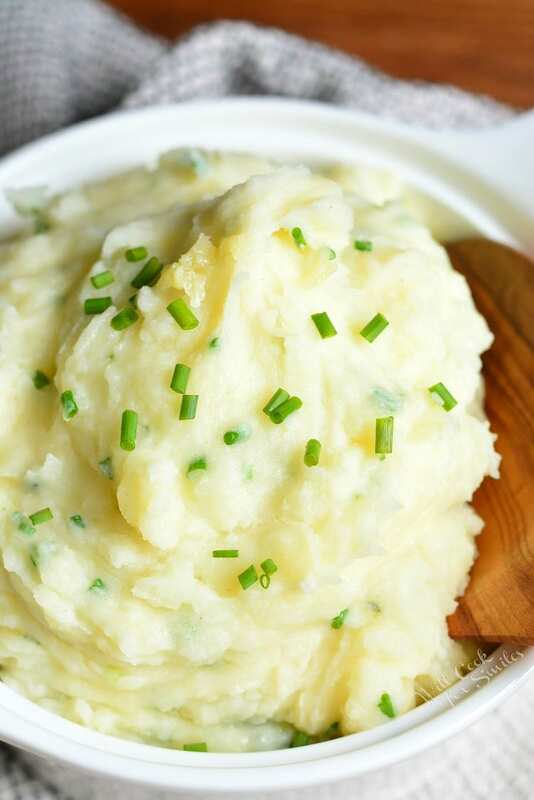 Smooth, fluffy, and creamy mashed potatoes made with Vermont white cheddar cheese and fresh chives adding delightful flavor pop to the dish. It’s time to start planning our holiday menus yet again. That crazy, wonderful holiday time of the year is finally here and no matter how hectic things get, I still enjoy every single minute of it. I am super excited about this holiday season. Perhaps not as excited as my son since the Christmas wish list is already on the fridge and this morning I woke up and saw him perusing through the Target toy catalog. (Not looking forward to the Toys R Us catalog arriving in the mail.) This will be a special holiday season because we have a new member of the family who will be experiencing it all for the very first time. As excited as I am about the holidays, I am not up for hosting both Thanksgiving and Christmas again. This year, I am taking a pass at cooking Thanksgiving since it’s a little tough to spend days in the kitchen with the new baby attached to me most of the time. But, just because I am not hosting the holiday this year, it doesn’t meat I can’t play around with some new recipes in my free time. Out of the whole holiday dinner table, the meat and mashed potatoes are my favorite parts. Whether it’s turkey, or ham, or chicken, I am a carnivore and love it all. As far as side dishes, potatoes are my number one choice. I’ve been a sucker for any and all potato dishes ever since I was a kid. 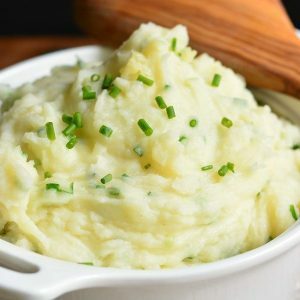 You just can’t beat the crispy roasted potatoes or soft, fluffy mashed potatoes. Well, you can’t beat potatoes but you can make them better and better with some delicious flavor additions. 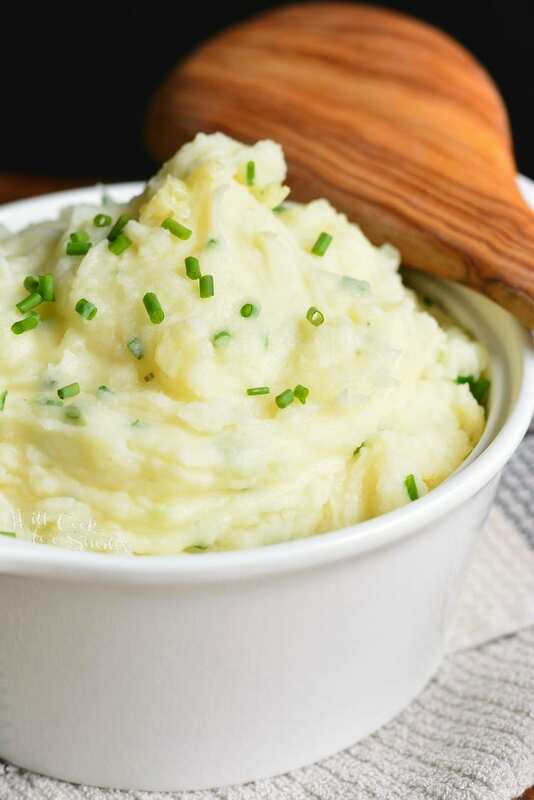 This particular mashed potato dish is not just smooth and fluffy, it’s extra creamy from addition of sharp white cheddar cheese mixed right into it. Cheese and fresh chives flavors make these potatoes pop. 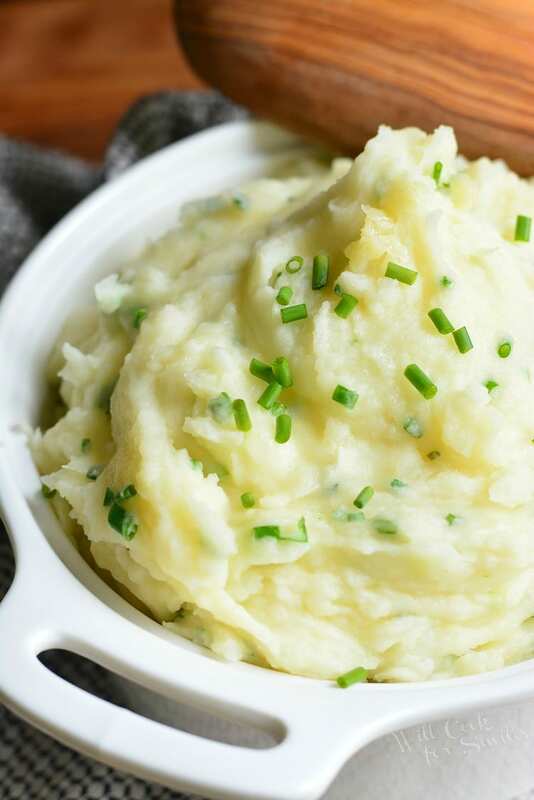 These creamy mashed potatoes will compliment any protein perfectly. 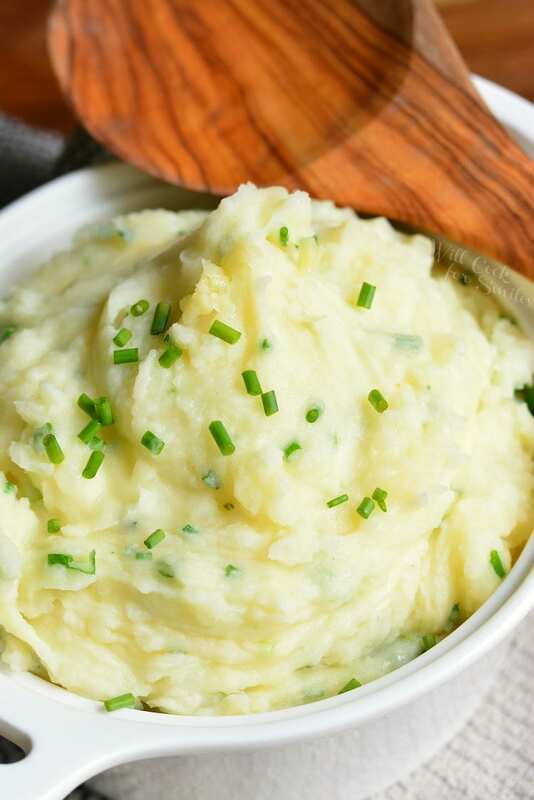 Smooth, fluffy, and creamy mashed potatoes made with Vermont white cheddar cheese and fresh chives adding delightful flavor pop to the dish. 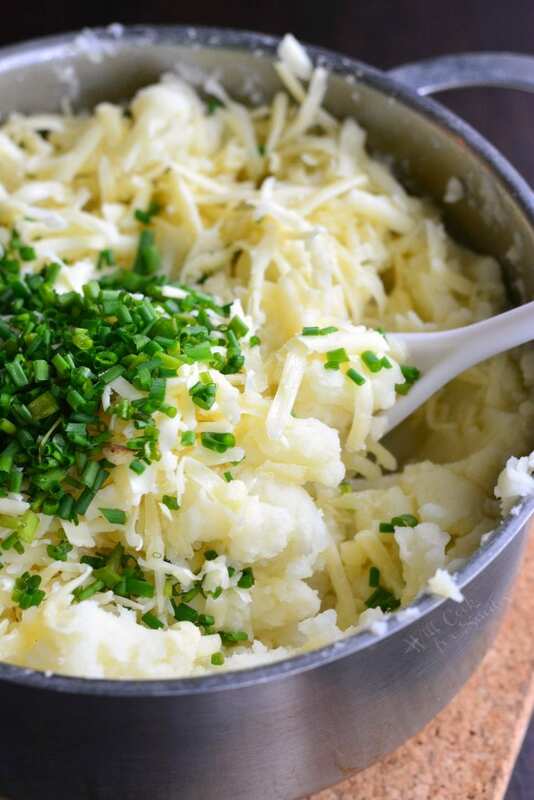 Grate cheese and chop chives while potatoes are cooking, set aside. Bring a pot of water to boil while peeling the potatoes. Cut potatoes into large chunks. Cutting the potatoes will make it faster to cook and easier to mash. Add potatoes to the pot. Add bay leaf and some salt. Cook over medium heat until potatoes are cooked all the way through and starting to fall apart. Drain water out of the potatoes. Add chopped butter, milk, ground white pepper, and some salt. Start mashing slowly and watch out for splatter. Mash until all smooth. Fold cheese into potatoes with a wooden spoon until evenly combined. Fold in chives. Taste to see if you need to add more salt. 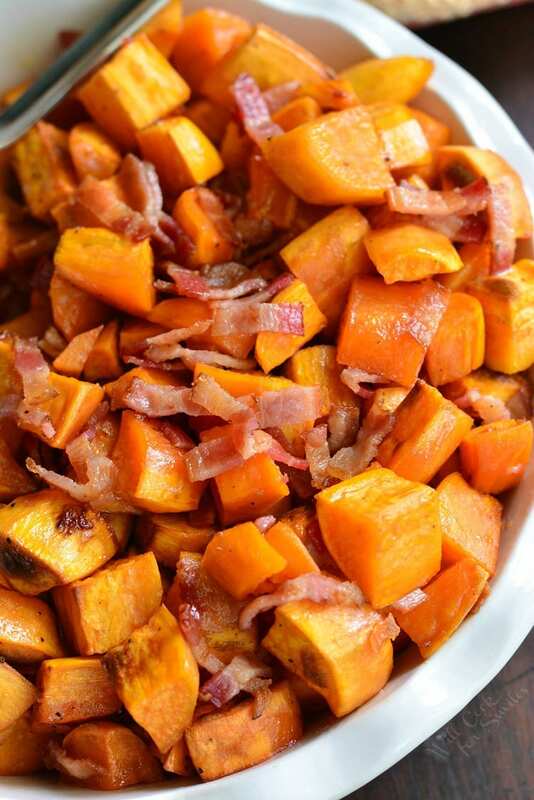 Don’t you just love the delicious carbs at Thanksgiving. I was doing a little survey and I think most people go after the sides, don’t you? What a special time of year for your little ones. Do you have an Elf on the Shelf? When my kids were ittle it was the Pennys and Sears Christmas catalogs. Those books kept them entertained for hours! Have a good weekend. We do have the Elf but my son is allowed to touch him and play if he wants. But we do change his location every night. 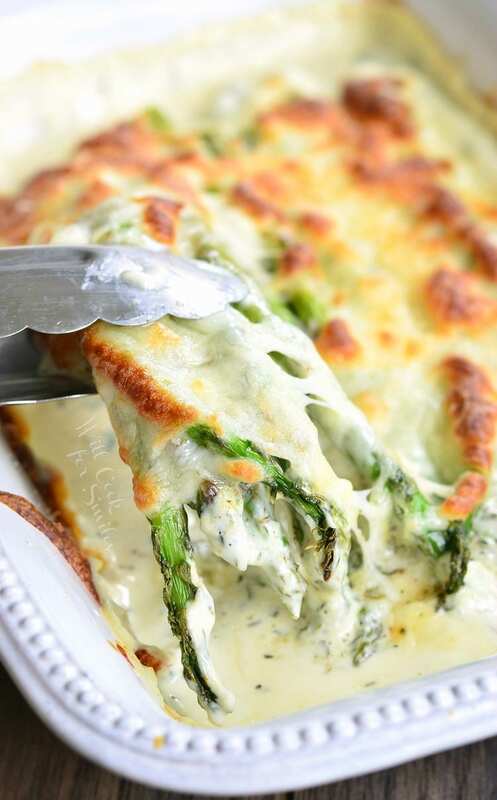 A very nice comfort food variation! 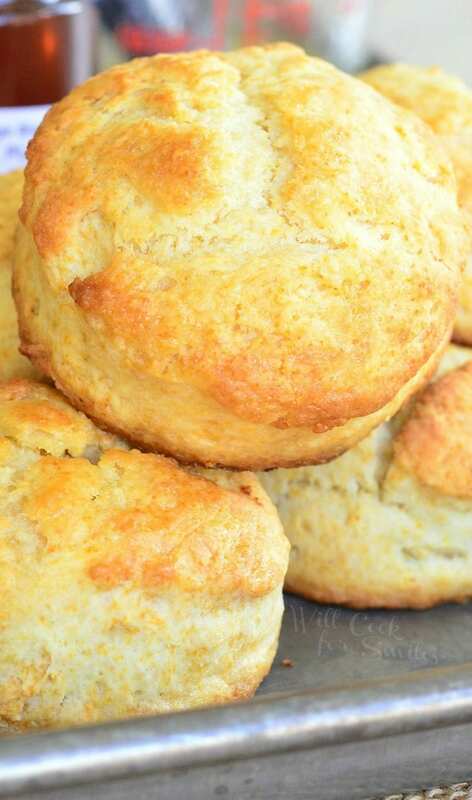 Me, I use Buttermilk to add a little more tang and toss in chopped scallions. The serving bowl is always empty and none left on the plates at the end of the meal.